THE BEST WAY TO END THE YEAR! 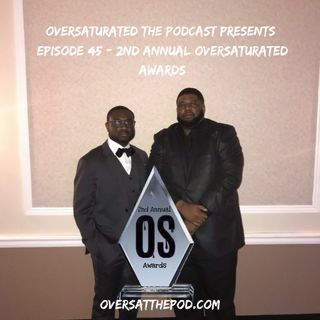 The 2nd Annual Oversaturated Awards are here! The guys are joined by a few special guests this episode. They had a great time picking and awarding winners of the categories this year. Everything from the Best Viral Moment to the MVP award. Also, they couldn’t leave you without a Top 5-album list of 2018. PLEASE ENJOY!!! !